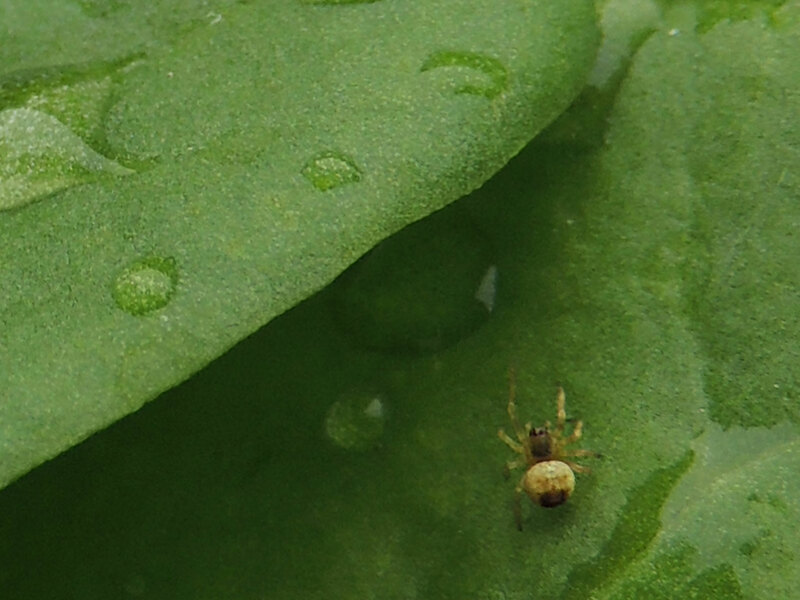 Yesterday baby spiders hatched in my window box and my spinach was covered with the tiny guys. There were tiny spiders and tiny webs everywhere. 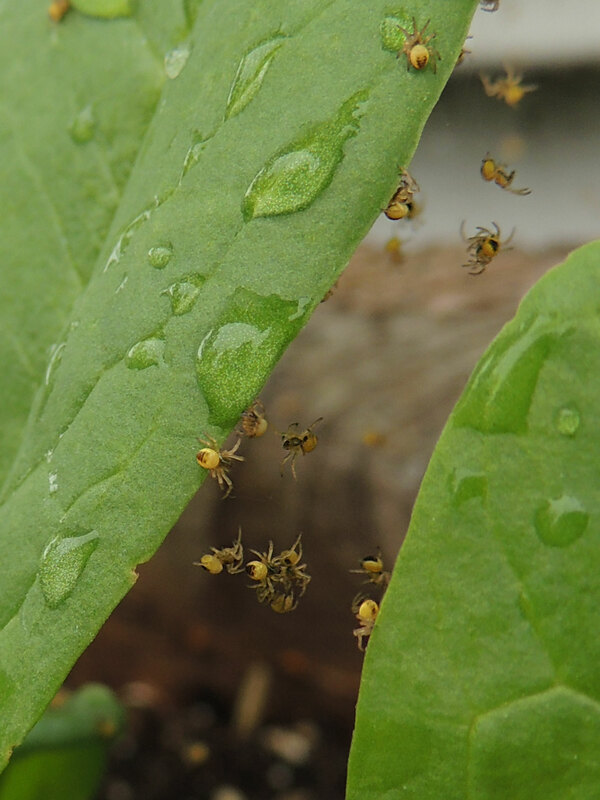 Clara picked up a handful and they flowed out of her hand on their tiny webs like water in slow motion. 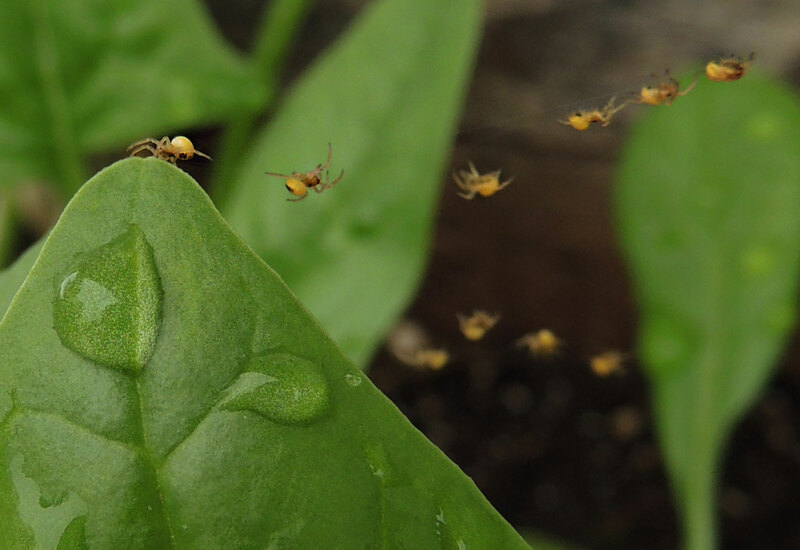 Today they have vanished to wherever it is that baby spiders go and my spinach was spider free when I picked it for dinner. 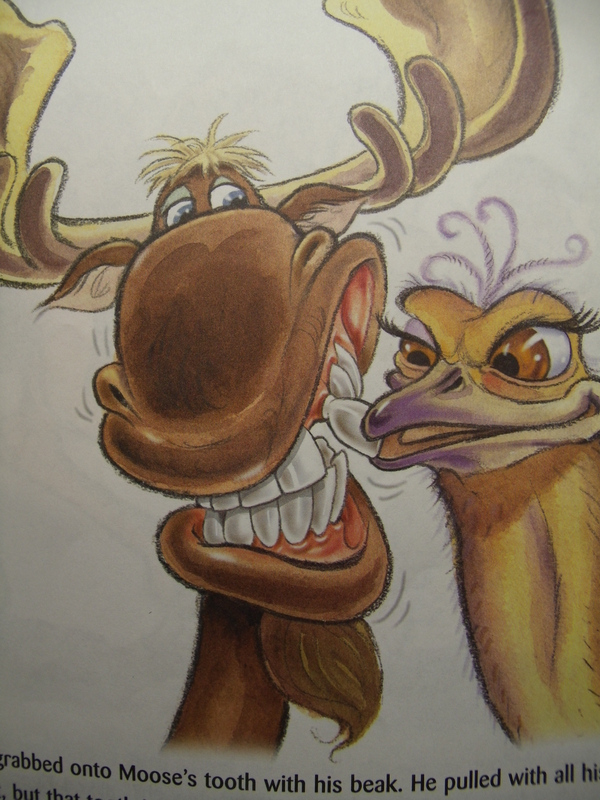 Then, leaving aside the fact that I can think of no good scenario where a moose, ostrich, tiger, zebra, giraffe and elephant all live together, I really, really never wanted to see them pulling a tooth out together. Ever. 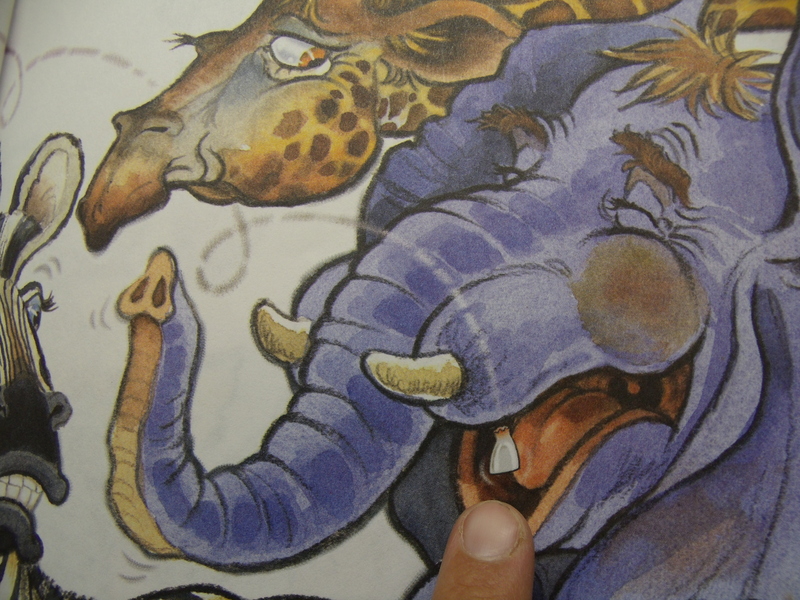 The elephant swallows the tooth. Which brings me to my long winded point. Which brings me to me really long winded point and a household rule we have. If they bring a book home from the library I’ll read it once. If it is a good mutually acceptable book I’ll read it 37 more times during the course of the week before we return it but if it’s bad – once. This is something that people have harassed me about, saying that if my kids want to read I should be reading whatever they want. I disagree. There are plenty of books out there that we would both like to read so when they do manage to sneak a book like Moose’s Loose Tooth or anything involving Dora home, I’m only reading it once. Because sometimes once is more than enough. Now, I’m looking for a children’s book that has brown, slimy, lettuce in it, maggots would be nice bonus material, anybody have any ideas? 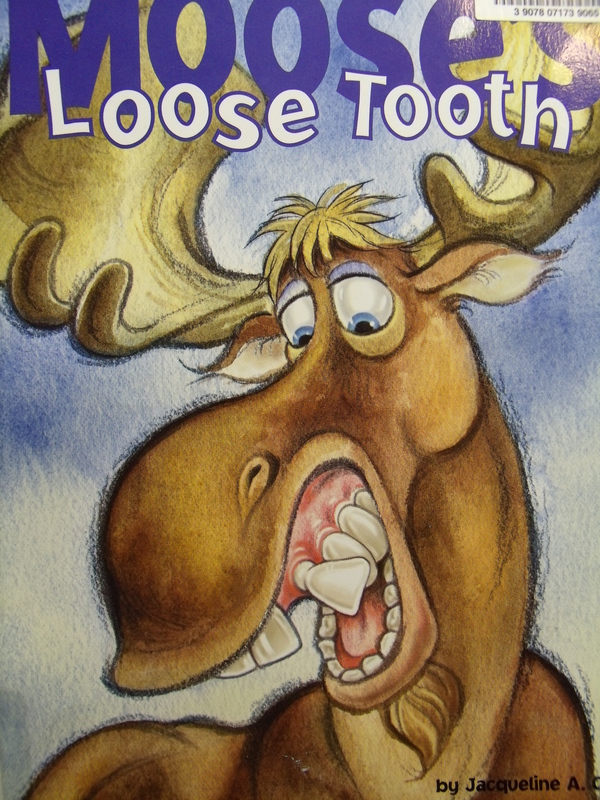 To be fair, if it weren’t for my whole teeth hating thing this book would be just fine. It’s got the kind of repetition and humor that kids like, Ivy has been asking about when her teeth will fall out and I’ve had to reject it as a possible read almost every time we’ve sat down in the last week!